Sunrise over Tobacco Lake below Conejos Peak in the San Juan Mountains. 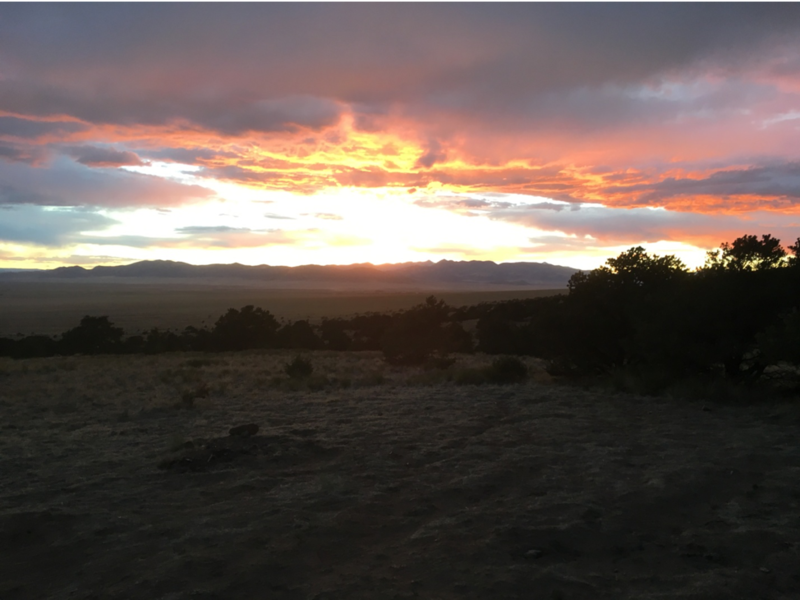 Sunset from below the Wild Cherry Trail in the Sangre de Cristo Mountains. Coming from Montana, I was very excited to once again get the opportunity to work in Colorado and be a part of such a remarkable stewardship effort. Growing up in the mountains of Montana fostered my love of nature and afforded me many opportunities for hiking and camping. I have always wanted to incorporate these passions into my career and give back to the environment. After working in Colorado on trails in the summer of 2015, I longed to return to Colorado again. With my impending college graduation this spring from the University of Montana, I searched all over the West for jobs, but especially concentrated my efforts in returning to Colorado. I was fortunate enough to be hired by the Colorado Mountain Club and once again get to work for the season in the mountains that I had come to love. Training for the Colorado Mountain Club Stewardship Crew season has come and gone in a whirlwind of information and experiences. Training started in early May and lasted until the beginning of June. In this time we learned the skills to become a crew leader, crosscut and chainsaw saw techniques, trail work skills, and wilderness medicine. All this information has prepared us and built up our excitement for the start of the 2018 season. With all this information in our tool belts, we were ready for the season to start and to get out on the trails. Armed with all the knowledge we learned during training, we set out on our first hitch. The Statewide Crew set out in the Conejos Peak Ranger District in the San Juan Mountains. We were tasked with inventorying trails in the area for an incoming Southwest Conservation Crew that would be up there soon. Even though we lost the trail a couple times and had to alter our plan occasionally, the beautiful views and drive to finish the job got us through our first work week and we wouldn’t trade these experiences for the world. 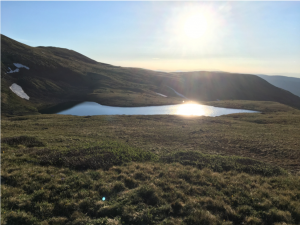 We felt good about our impact for the trails we covered and hope that our work will help to improve the trails for future generations to enjoy the wonderful views and all that nature has to offer.